LEAN MUSCLE GROWTH AND MORE ENERGY, PURE EFFORT REQUIRES BEYOND YOURSELF BCAA! Essential branched chain amino acids (BCAAs) are of special importance for athletes because they are metabolized in the muscle, rather than in the liver. After digestion, once protein is broken down into individual amino acids, these aminos can either be used to build new proteins or to be burned as fuel to produce energy. 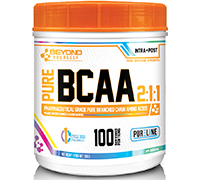 Using BEYOND YOURSELFTM BCAA during and immediately after physical exercise can help increase recovery, promote endurance and stimulate fat loss. 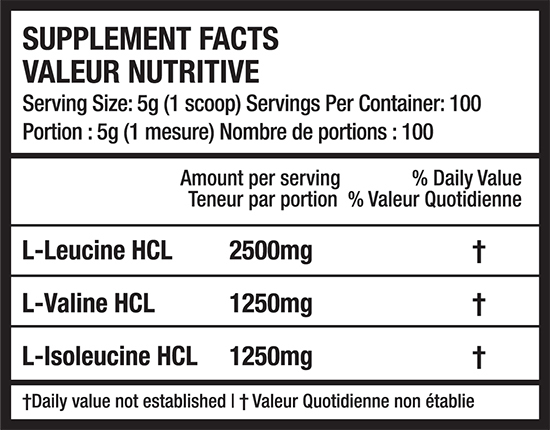 Not to mention BCAAs have an important anti-catabolic effect and support lean muscle growth.